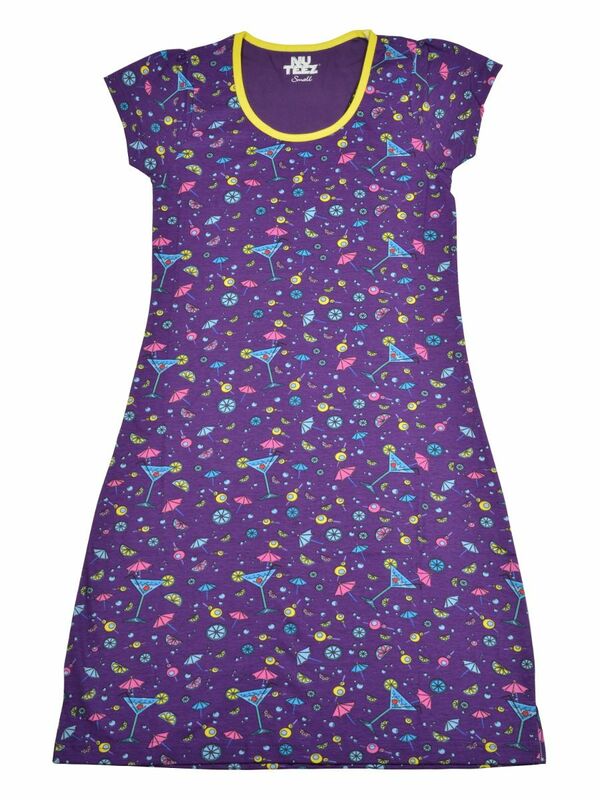 a colorful all over print on a One piece Dress with sleeves and trims on neck and sleeves. This dress can be paired with leggings or worn as one piece. *100% cotton with Processing done by AZO free chemicals. Wash care: Machine wash in cold water with like colors using a mild detergent, do not iron on print. Buy Nuteez Martini-Long Tank-Sleeves online at cilory. This Nighty is a perfect addition to every woman's Lingerie collection.